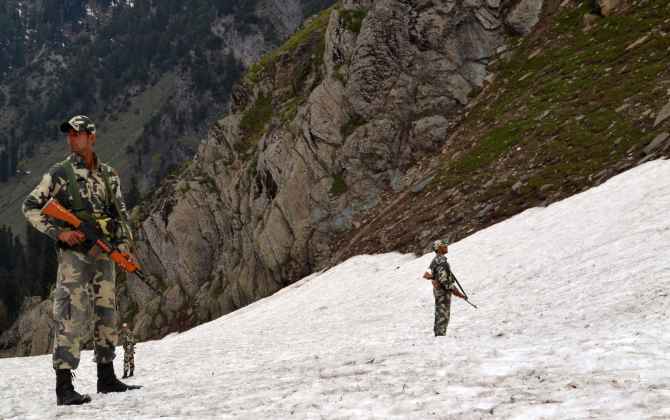 Amid tight security arrangements, the annual Amarnath yatra commenced from Jammu as the first batch of 1,280 pilgrims left for the cave shrine in the South Kashmir Himalayas. 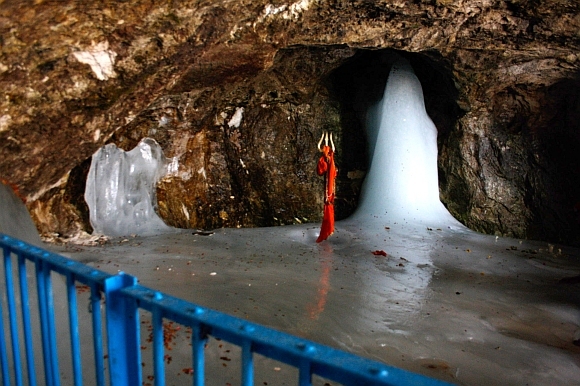 "Amarnath yatra began from Jammu on Wednesday. 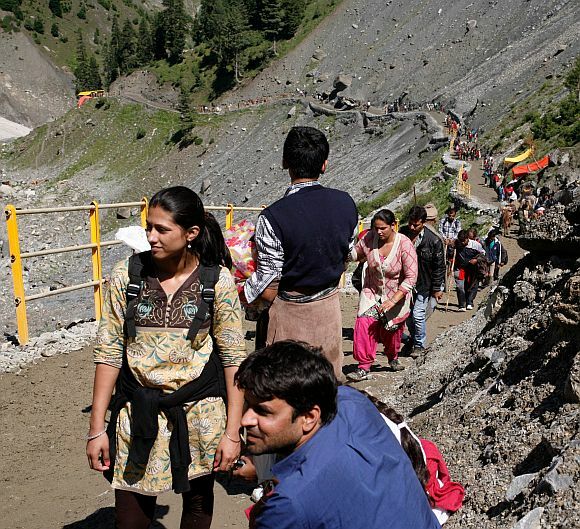 A batch of 1,280 pilgrims has left from the Bhagwati Nagar base camp in Jammu for their onward journey to the 3,888 meters high cave shrine of Amarnath in Kashmir Valley," said Dr Piyush, Yatra officer and Additional Deputy Commissioner Jammu. The batch comprising 919 men, 191 women, 16 children and 154 sadhus left in a cavalcade of 34 vehicles guarded by heavy contingent of the Central Reserve Police Force personnel from the base camp at 5:10 am, a police officer said. The cavalcade has already crossed Kud in Udhampur district, he said. The yatra was flagged off by Jammu and Kashmir ministers Lal Singh, Sukhnandan Choudhary and Priya Sethi. They said that the yatra has begun and all arrangements have been made for comfortable yatra of pilgrims, who have come from various parts of the country to pay obeisance at the cave shrine of Lord Shiva. The first batch will reach twin base camps of Baltal and Pahalgam for their onward journey to the cave shrine by on Wednesday evening. 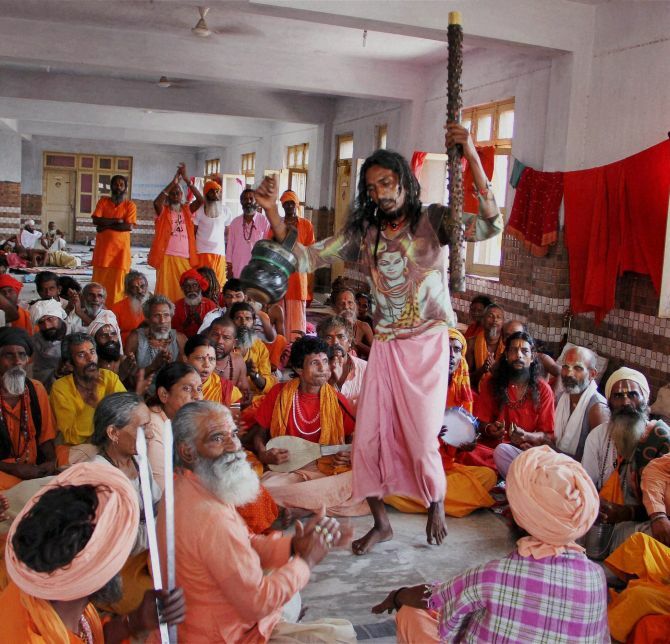 In the Kashmir Valley, the 59-day annual yatra will begin from July 2, an auspicious day of Purshotam Purnima as per the Hindu calendar, and conclude on Shravan Purnima (Raksha Bandhan) on August 29. 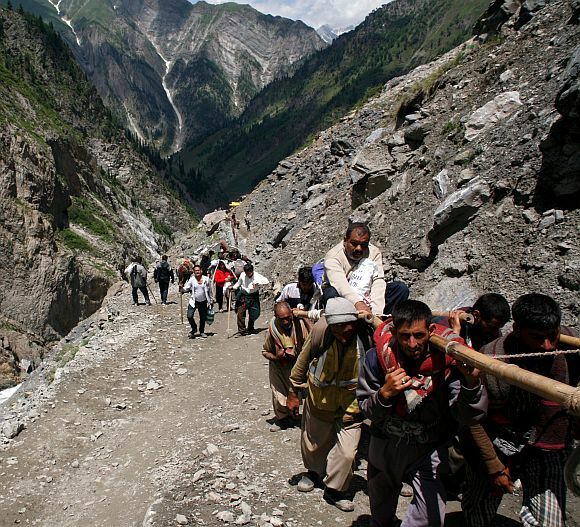 A total of 2,04,508 pilgrims had secured advance registration and 22,104 had purchased helicopter tickets from Baltal and Pahalgam to Panjtarni. Apart from power and water supply, the ration and food supply items are being delivered to all camps while medical camps have been established at five out of six camps. 8,800 ponies have been duly registered of the total 13,000 which are allowed to operate on both routes, an official spokesman said. He said there is telephone connectivity at all camps. Around 2,500 toilets and 245 baths have been installed out of a total of 2,792 while firewood supplies have reached five out of seven camps, and all 115 langars have reported at the camps and about 100 have already been installed. Sanitation arrangements and joint police control rooms are in place and fire fighting units are reporting at the camps, the spokesman said. Union Home Secretary L C Goyal had on June 29 visited the Panjtarni halting station on traditional Pahalgam-Amarnath route to take stock of arrangements for the yatra. Apart from sanitisation of the highway and other roads, security forces including the army, have taken up positions all along the yatra route, base camps and other places for an incident-free yatra. Over 55 security companies have been deployed for the yatra in Jammu and Kashmir. 10 most DARING jailbreaks in history!